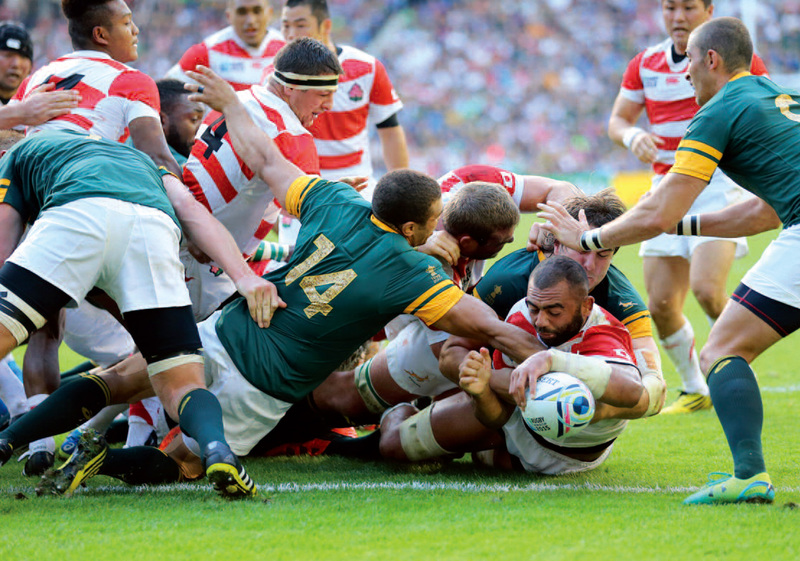 A keen observer of rugby, the editorin- chief of Rugby Magazine shares his analysis of the Japanese game. The Japanese rugby movement has a nominal base of about 120,000 players – not only lower than traditional world powers such as England, France and South Africa, but even lower than the United States, where rugby is far from being a major sport. However, the national team has improved so much (recently beating Italy and Georgia, and drawing with France) that nobody can now afford to take them lightly. Zoom Japan talked about the past, present and future of Japanese rugby with Tamura Kazuhiro, editor-in-chief of Rugby Magazine. Rugby and baseball were introduced around the same time, in the second half of the 19th century. However, while baseball became increasingly popular and is the number one sport in Japan now, rugby has remained a niche sport. Why? 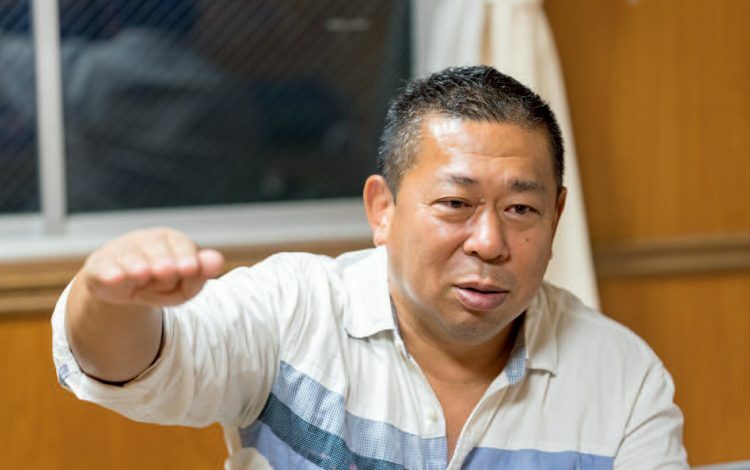 Tamura Kazuhiro: Rugby was first introduced in this country at university level, with Keio University leading the way about 120 years ago, and the situation didn’t really change until the mid-1960s. In other words, while baseball was embraced by people of every social class, was played everywhere in the streets, and quickly developed a professional league, rugby has remained an elite sport mainly played by university students. In the 1960s several companies began to acquire their own rugby teams, absorbing the best university graduates, but the sport was still not managed like a professional league as the players were just company employees. You could say that nobody at management level really wanted to make the sport bigger, let alone challenge baseball’s supremacy. Everybody seemed to be content with the niche world they had created, and they weren’t really interested in developing the kind of organisation and fan base that baseball had achieved. T. K.:No, not really. To be sure, since 2003, we have a Top League with 16 teams, but this is still an industrial league: all the teams are owned by major companies, and apart from the world class foreign players, only a small number of Japanese players are fully professional, which means most of the players are still amateurs. Top League matches can’t really be compared to professional baseball or J-League football games, but they still manage to attract between 10,000 and 30,000 fans, which for the front office guys is good enough. You have to consider one more thing: unlike other sporting leagues, success in Japanese corporate rugby doesn’t mean that you get more advertising, more TV revenues or opportunities to promote your brand. On the contrary, having a successful team means having to pay more money: more team travel, more training camps, better salaries for the professional players, etc. Now, if you’re a big company such as Toshiba or Toyota, you can afford that; but if you’re not, you run the risk of having to terminate your rugby programme because of financial stress. For many years the Japanese national team was rather low in the world ranking. Then, in 2010, it started climbing the rugby hierarchy until, after its surprising performance in the 2015 World Cup, reaching the top ten. Currently Japan is ranked 11th in the world. What’s happened in the last ten years? T. K.: First of all, the overall level of our Top League – that was first introduced in 2003 – has gradually improved. On average, we now have physically stronger, technically better players who are able to train daily. This higher level of competition has attracted better foreign coaches and players. Then of course, in 2011, Eddie Jones became head coach of the national team. In 2003, Jones had lead Australia to the World Cup final and, in 2007, had been technical adviser to World Champions South Africa. Jones’s mother and wife are both Japanese, and at the time of his appointment he was coaching the Suntory team. Was his impact on Japanese rugby really so big? T. K.: You certainly can say that. When he was appointed, he famously said that Japan was going to the 2015 World Cup and they wanted to win every game. From the beginning, he set a very high target for a team whose record until then had been one win, two draws and 21 defeats. But he believed in them and made sure Japan really achieved its potential. For example, Japanese players may be smaller than their opponents, but they’re quick, and Jones thought that by working on their strength, team tactics and mental approach to the game, they could overcome their physical handicap. Jones’s great achievement is that he kept winning while building his side around local players. In 2016, Jones left Japan to coach England and was replaced by New Zealand-born Jamie Joseph. How does Joseph differ from Jones in his approach to coaching the national tram? T. K.: Jones comes from a country, Australia, that in terms of raw rugby talent is inferior to New Zealand, so he and the other Australian coaches always have to come up with different tactics and training methods to close the gap with their rivals. Joseph, on the contrary, believes that Japan has to work on players’ size and physical strength to really become a world-class side. Because of this different approach, the way Japan plays has changed as well. In the past, speed was our best weapon. Now, on the contrary, our players are becoming bigger and stronger, which means we aren’t as fast as before. So while in the past we had to find unique ways to win, now we have a more classic, orthodox approach to the game. Do you think the rugby culture in Japan is different from in other countries? T. K.:Well, as you know, Japanese society always insists on teamwork; we think that together we can achieve things you can’t do alone. We’re also very serious and diligent in whatever we do; we have this never-give-up mentality. So our players always push themselves to the limit; keep running until they have nothing left to give. One curious thing about Japan is that we keep using the antiquated term “no side” to describe what is internationally known as “full time”. For many Japanese, these words better express the moment when the two sides get together and fraternise at the end of the match. Keith Davies is a veteran coach who has worked in Japan for about 30 years at high school, university and company level. He often criticises Japanese rugby – e.g. its university rugby system – for being wasteful and not producing good enough results. Do you agree with him? T. K.: It may not all be as black as he says, but he has a point. For example, in the past PE teachers and coaches in Japan had a tendency to train all players according to the same model. Everybody was encouraged to pass or kick the ball in the same way, to the detriment of their unique characteristics. Things have changed in this respect, but it would still be better to push for more originality. Another problem is that top university clubs have 100 to 150 players. When you consider that rugby is played by 15 guys, a lot of students don’t get any meaningful playing time in their first two years – or ever in some cases. So, many players with potential end up giving up rugby on graduation. Also, even among the stronger players there are kids who don’t really see a future in playing rugby, and give up the game to major in medicine or to go to a university with a better academic record. In addition, minor schools have very few chances to play. At high school level, for example, all tournaments are played according to the knockout system: as soon as you lose a game you’re out. We should probably devise a league system in order to give each school more opportunities to play. At any rate, we should make sure that all this young talent isn’t wasted. Currently, out of the 30-member national squad, about one third is comprised of foreignborn players, starting with captain Michael Leitch. In the past, Japan has been widely criticised for this even though other countries (Samoa, the US, Italy, Australia, New Zealand, etc.) do exactly the same. What do you think about this situation? T. K.: I’ve got used to it (laughs). It’s a sign of our changing times, I guess. To be frank, I understand those people’s criticism. It’s something that makes us Japanese rather uncomfortable. On the other hand, many of these foreignborn players have become completely assimilated into Japanese society. Take captain Leitch. He acts like a Japanese and speaks the language even better than many Japanese. In the end, the important thing is that everyone plays together as a team and represents Japan as best they can. What are Japan’s chances for next year’s World Cup? T. K.: Japan is in the same group as Ireland, Scotland, Samoa and Russia. Everybody takes it for granted that we’re going to beat Samoa and Russia. However, as only the two best teams can progress to the quarter finals, we have to find a way to defeat either Ireland or Scotland. Coach Joseph has recently said that Japan is on the right path to successfully challenge Scotlandat least, and I agree with him. After all, both our club and national team performances have steadily improved, and, of course, we will be playing in front of our supporters. I guess many people here will be disappointed if we don’t make it to the quarter finals.